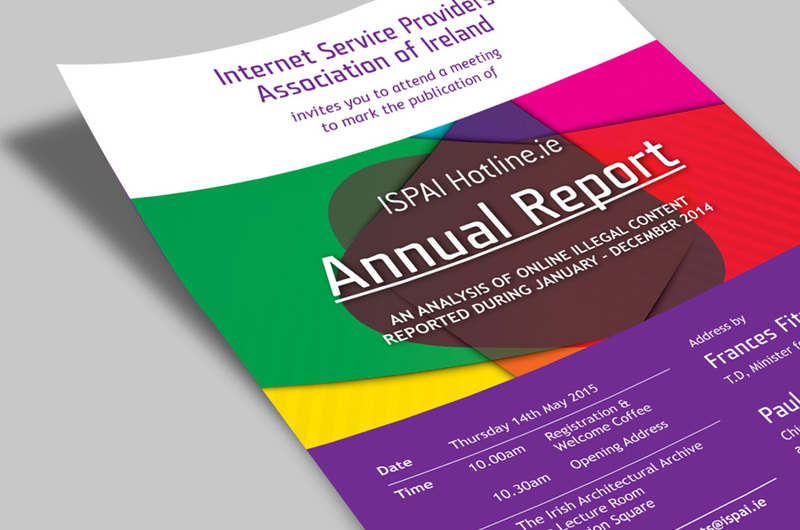 The 2015 Annual report design features overlapping graphic shapes which symbolise the sharing of information across the hotline network. 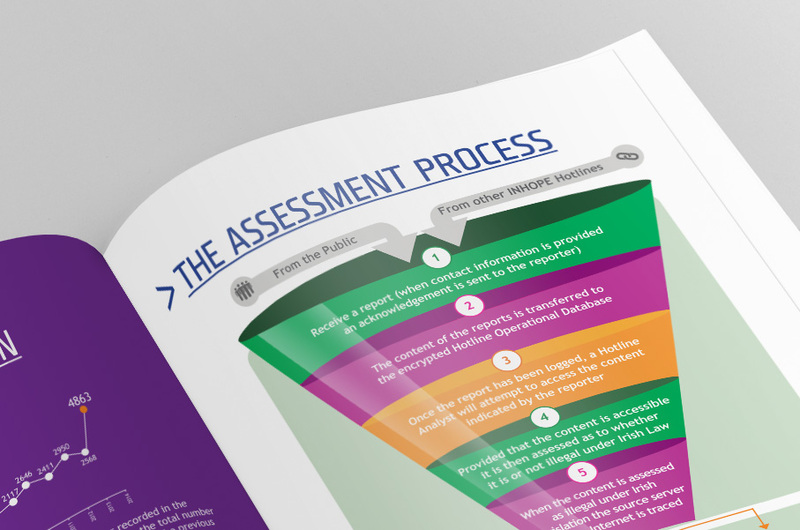 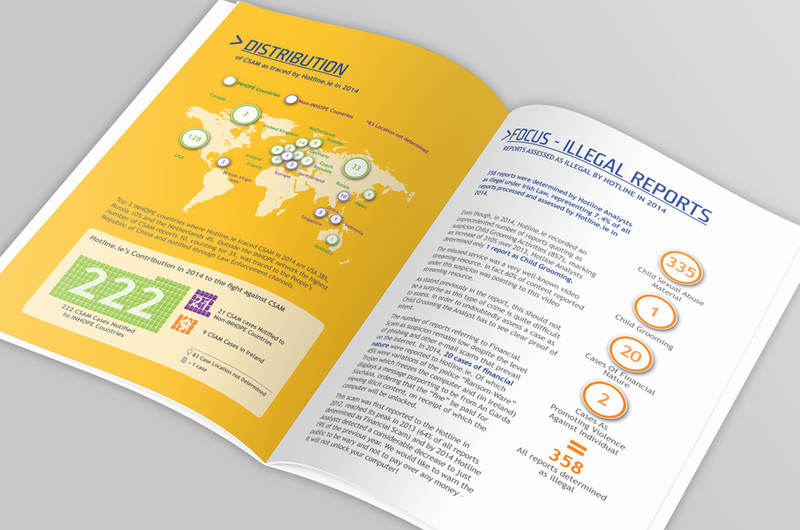 The document contained a large volume of statistical data which we presented using engaging infographics and bold colours to help give it a clear and concise format. 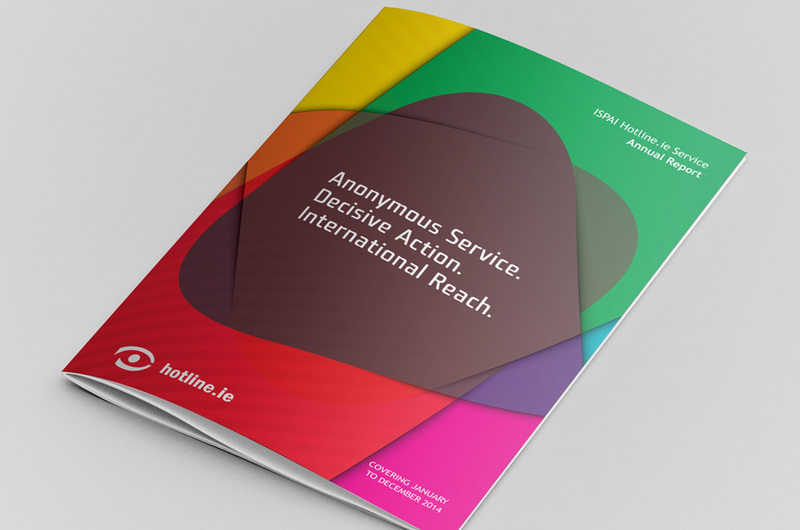 It was important that we devised a strong and recognisable identity which would help promote the official event launch to be used across social media and press releases.